Let us help you win that next listing! Matterport’s 3D Spaces will win over any prospective seller because they are the most immersive way to experience any home on the market. Turn the seller’s property into an always-open house, and let prospective buyers explore like never before. 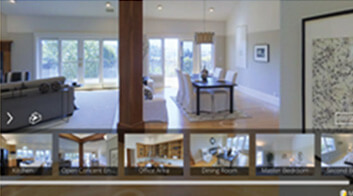 Win listings using Matterport ...with no upfront cost! You can use an iPad, iPhone, or laptop during your listing presentation. We recommend using an iPad for the most interactive experience with your client. If you are planning to use VR, you will need an Android phone - compatible models include Galaxy S7, S7 edge, Note5, S6 edge+, S6, S6 edge. Our offline Showcase App for iOS is a great way to show off Matterport and it includes several sample 3D Spaces. 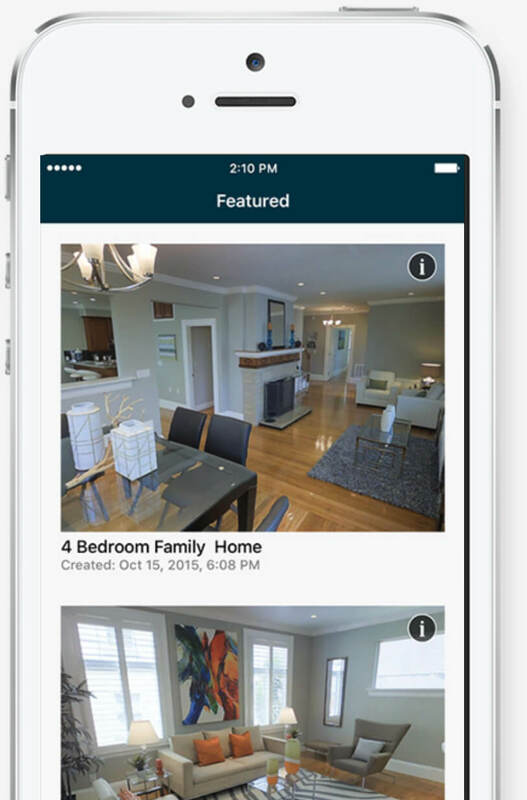 You can find it by searching “Matterport 3D Showcase” on the Apple® App Store. Once you’ve downloaded the 3D Showcase App, select a few example Spaces to download from within the App. Please note you must have Wi-Fi or cellular access to download the Spaces. We recommend doing this prior to your meeting, as Wi-Fi may not be available during your listing presentation. Be sure to download sample Space(s) that are similar to your client’s. Besides our 3D Showcase App, you can also show off one of the hundreds of Matterport Spaces included in our public Gallery via your computer or phone. Please note that you must have Wi-Fi or cellular access to view these at any time and from anywhere, but you can also download any you think would resonate well with your client. You can find these models in our Gallery here: matterport.com/gallery/category/real-estate/. 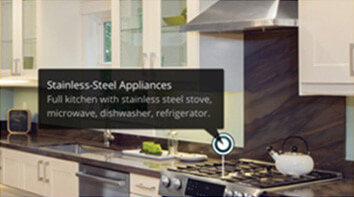 Matterport has many features that will draw buyers in and attract qualified leads. Showcasing these technology features is key to winning over a home seller. Familiarize yourself with the 3D Space you selected. This gives any viewer a full perspective of the property. This is a top down view of the property. This allows any viewer to move through the space as if they are there. The white circles on the floor indicate the positions you can stand. 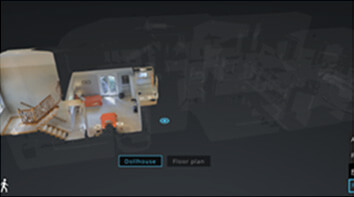 This allows a viewer to move quickly between floors whether in dollhouse, floorplan, or inside view. These are a simple way to give context to spaces and describe features of the home, like Stainless-Steel appliances. A highlight reel shows off all of your Snapshots of a space in a filmstrip at the bottom of the model. Positioning to your client - Prospective buyers want to walk through any space at any time, as if they’re there. Matterport gives them that ability. Recommended Script: I have a game changing technology that is going to sell your home, fast. This incredible state of the art tool offers the latest and greatest marketing advantages - it allows you to have an always-open house, get more eyes on your property, and sell your home quickly by allowing buyers to explore your home like never before. The name of the technology is Matterport, and let me me show you how it works. Generate momentum and marketing buzz around your property like you wouldn’t believe--all before the first open house--with a space-age tool that will captivate prospective buyers. Photos of floorplans don’t tell the story of how it feels to live in a home. Matterport does. Move your home, faster. Get more eyes on your listing with an always-open house. Create an emotional connection with prospective buyers by allowing them to understand the true value of the home. Attract the right buyers - your home was your home, and you want buyers who truly create a meaningful connection. Closer: Matterport is the only tool on the market that’s going to sell your home and I’ll offer this to you for free. What do you say? Ensure all equipment for your presentation is charged the night before (iPad, iPhone, laptop, and if applicable, your Android phone), and has downloaded Space(s) ready to go. When meeting on-site with your prospective client, follow your standard listing presentation process. 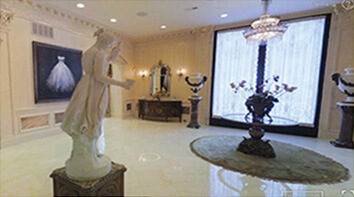 If you meet the home sellers at their property, keep an eye out for “selling” features such as Italian marble floors or original crown molding that you can suggest to indicate with Mattertag™ Posts later on in the presentation. Open the Matterport 3D Showcase App on your iPad, iPhone, or computer and run through your pitch (see #3 above). 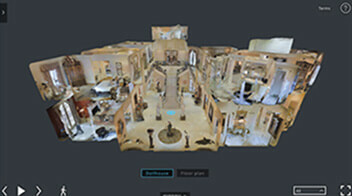 Don’t forget the following features/selling points of a Matterport 3D showcase you practiced. Let your client engage with the 3D Space on your device. Let them walk through a space and experience what it’s like. Trust us - they will love it! For a true closer, bring out your VR headsets. Simply open the CoreVR app on your Android phone (downloaded from night before), place into the Google Cardboard or Samsung GearVR unit and let the experience take them away. We’ve put together a Frequently Asked Questions doc if the seller has any questions. Once you win the listing, it’s time to order Matterport. For questions or suggestions, please email < cb-preferred@matterport.com >. Thank you.